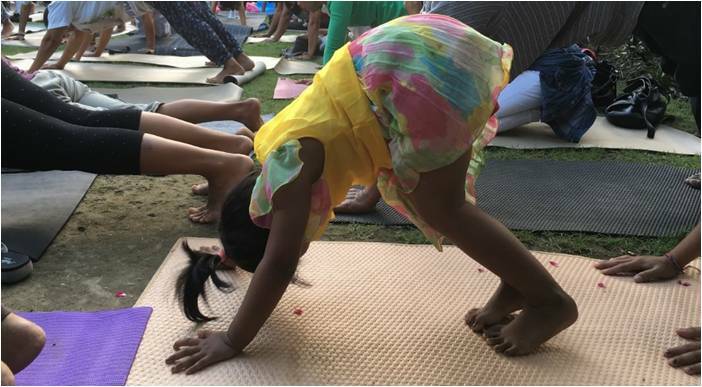 The Ubud area is packed with tourists in tights touting their yoga mats around, and there certainly isn’t a lack of places to practice your downward facing dog. We personally prefer the less frequented places where we can get a more intimate session in a serene jungle setting. 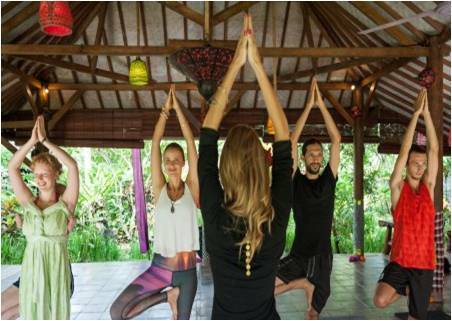 Swasti Eco Cottage, in Nyuh Kuning, is a perfectly tranquil place to awake to a sublime yoga session, eat healthy local foods, and sleep in a tropical garden setting. 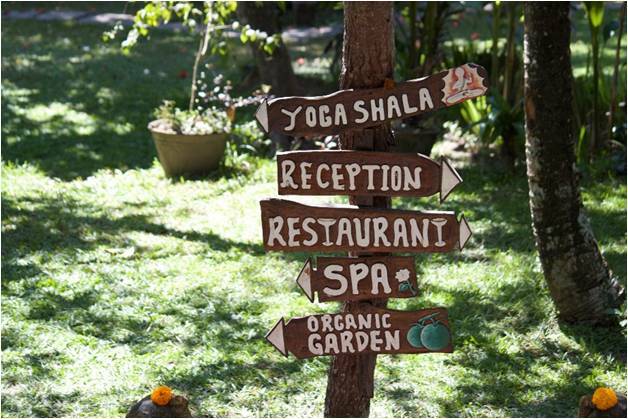 Swasti which means ‘healing’ in Sanskrit, offers an assortment of yoga classes in their shala surrounded by a beautiful organic garden. 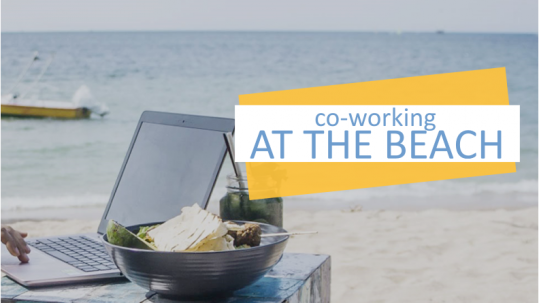 At Swasti, you can practice yoga while listening to the cacophony of animals that live on the grounds- birds, goats, roosters or the distinctive tokay gecko. At Swasti, two to three classes are offered per day including vinyasa, hatha, yin yoga or gentle flow. At Swasti, two to three classes are offered per day including vinyasa, hatha, yin yoga or gentle flow. Early bird? This is your place! 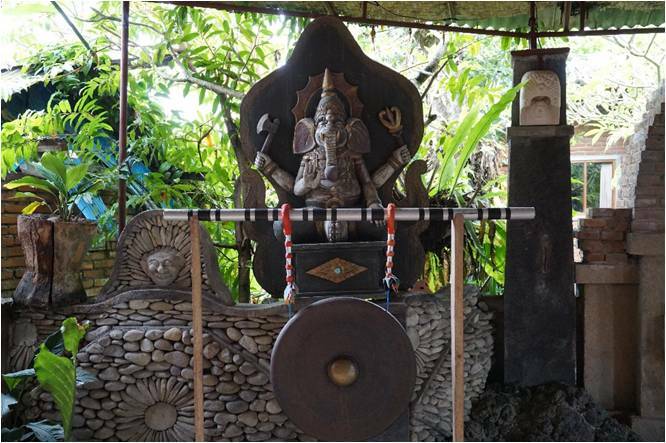 In the back of a garden filled with statues, birdcages and other trinkets is a open-air shala where every morning at sunrise yogi master Ketut Bandiastra Cahyu salutes the sun. He does so with great souplesse, passion and humour. 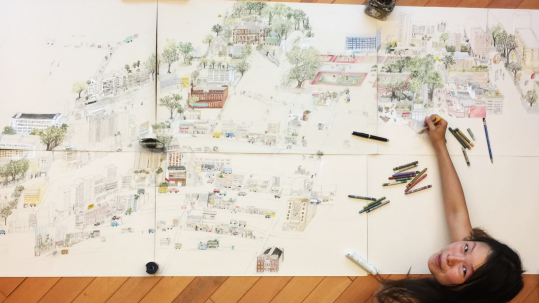 Taman Hati is not your average yoga studio. 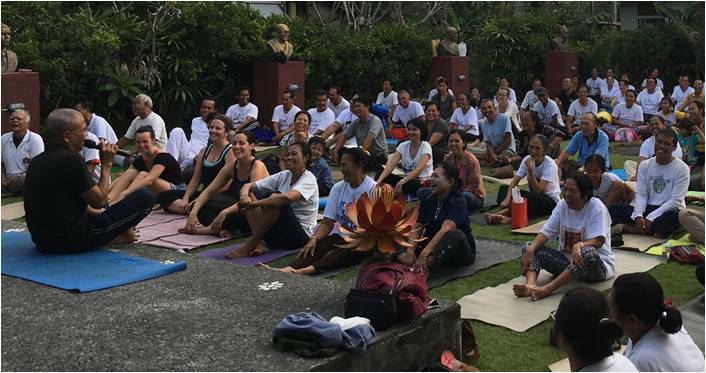 Ketut, who established the ashram in 2002, has developed his own style of yoga combining Kundalini, Iyengar, Ashtanga and Hatha elements. His teaching philosophy is perhaps best described as ‘free spirited’. Breathing is a big part to energise and get you ready to face the day. 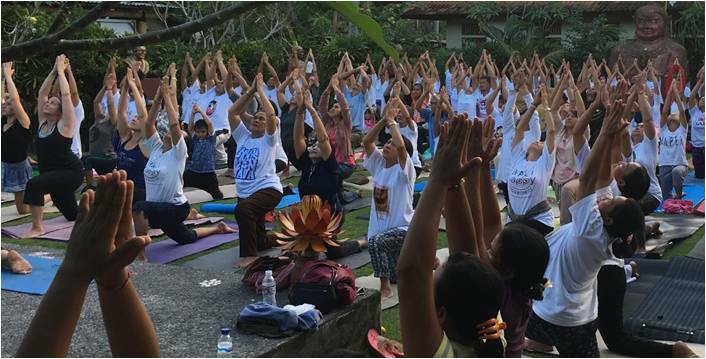 Taman Hati is translated as ‘Garden of the Heart’ and the beautiful open-air ashram located behind Ketut’s family compound, provides for a rejuvenating yoga experience: sharing spiritual moments, dynamic body strengthening, but also plenty of laughter, light, and guidance. His repeated mantra of happiness ‘happy belly, happy mind, happy body’, certainly leaves you smiling and well, happy. 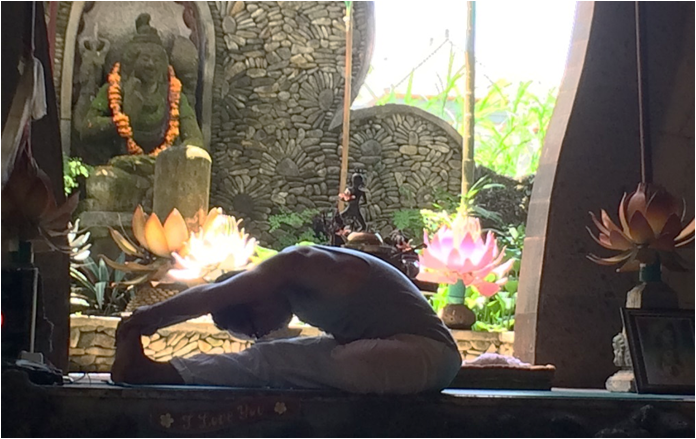 Taman Hati also offers Pranuwayu Yoga, a practice created by Ketut, is very similar to Vinyasa flow yoga, Mon-Thu-Sat 5pm -6:30pm Tue-Fri 10am -11:30pm. Well, it’s just as it sounds. Laughing yoga is an hour long session where you have the opportunity to completely lose yourself with a group of two hundred or so (mostly locals) over some unabashed laughing. It’s based on the belief that voluntary laughter provides the same physiological and psychological benefits as spontaneous laughter. At Amber Ashram, you are guided through several unrestrained laughing techniques, like laughing with your mouth closed, or by faking a handshake with your fellow yogis. The session is also accompanied by some hilarious aerobic dancing, as well as some basic yoga breathing and poses. 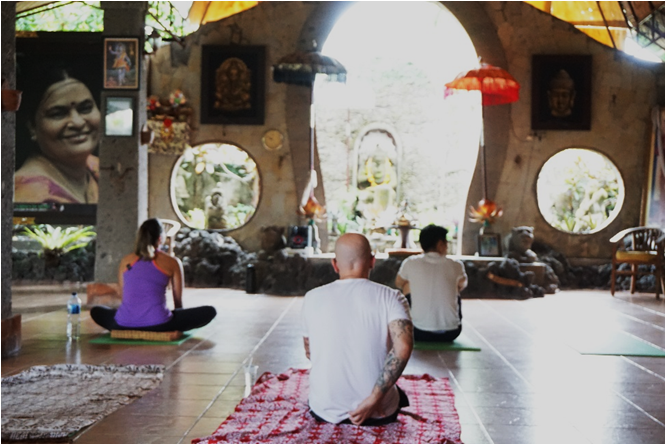 This ashram was founded by Kadek Suambara a modern Balinese spiritualist. 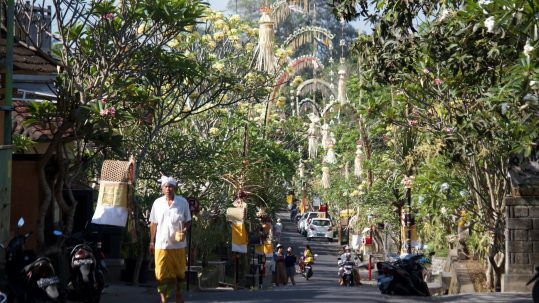 He comes from seven generations of village priests, and has been practicing meditation since the age of nine (his brother Ketut runs Taman Hati). 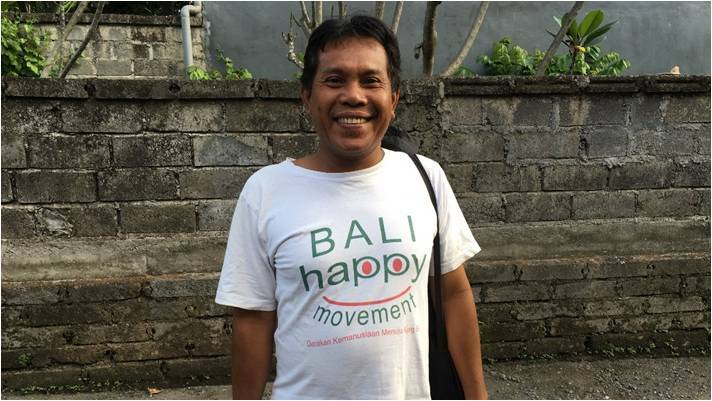 At the age of twenty-six, Kadek was the youngest person in Balinese history ever to be elected as spiritual leader of his village. In 2006, he began studying meditation in Mumbai, under the guidance of laughing yoga founder, Madame Kataria. Soon after, he returned to Bali and started the ashram as a centre for the Bali Happy Movement which has a huge local following from throughout the region. Laughing yoga has become a worldwide phenomenon with more than 700 Social Laughter groups worldwide. Today, Ambar Ashram has a following of 2,000 local residents. As Kadek says: ‘Ashram has organically grown to what it is today, because just like laughing, it’s contagious’!